Many believe that Fantasy Sports Betting (FSB) is the next immensely popular online game, similar to the arrival of Poker a decade ago, and the incredible growth of the industry in the USA is the best proof of that. Since betting on sporting events has been increasingly evident since the turn of the century and has become a global professional sports sector in itself, it makes sense to explore how it can merge together with FSB. Are they complementary products or is FSB a dangerous substitution product for sports betting? The answer can be found in the impact that big data will have, in the mid to long term, on these two industries (and more specifically on sports betting). In the short term, the development of big data seems to be beneficial for sports betting as clients' demand for more statistics is growing quickly, since they rightfully think that it increases their odds of making money. However, there is no doubt that clients will eventually realize that big data is actually helping bookmakers to optimize the offered odds. Simply put: if big data allows bookmakers to predict sports events' outcomes, clients will start losing interest. If you think that this scenario would never happen, have a look at the statistics competition that took place during the last football (soccer) World Cup in June 2014, between Baidu, Google, and Microsoft. The results were astonishing: Google lost the contest by correctly predicting the outcomes of the last 14 matches out of15. Meanwhile, both Baidu and Microsoft (News - Alert) had a perfect 100 percent accuracy score. For these big data giants, there is no doubt that the future will be read through statistics. One can therefore predict that, in the long run, sports betting clients will massively become FS players. To reduce this risk, it seems logical that sports betting operators start offering the FS experience to their clients as soon as possible, to anticipate this potential shift. They need to rapidly have access to this new market since, as always, when a new product arrives, first movers are often the winners. In countries like the U.S., Canada, and, to a lesser extent, the U.K., FSB has been a cultural activity for decades. FanDuel and DraftKings have mastered the industry, allowing them to control the vast majority of the daily fantasy sports action. Converting a free player into a paying one can be done through traditional marketing efforts, such as advertising and affiliation. In Europe, where the most popular sport is soccer, a different effort has to be made to evangelize clients who are not familiar with the concept of FS. One of the solutions to this is to make strategic partnerships with high profile professional soccer clubs and sports media. Both have large and faithful communities and they can therefore be the perfect evangelists. 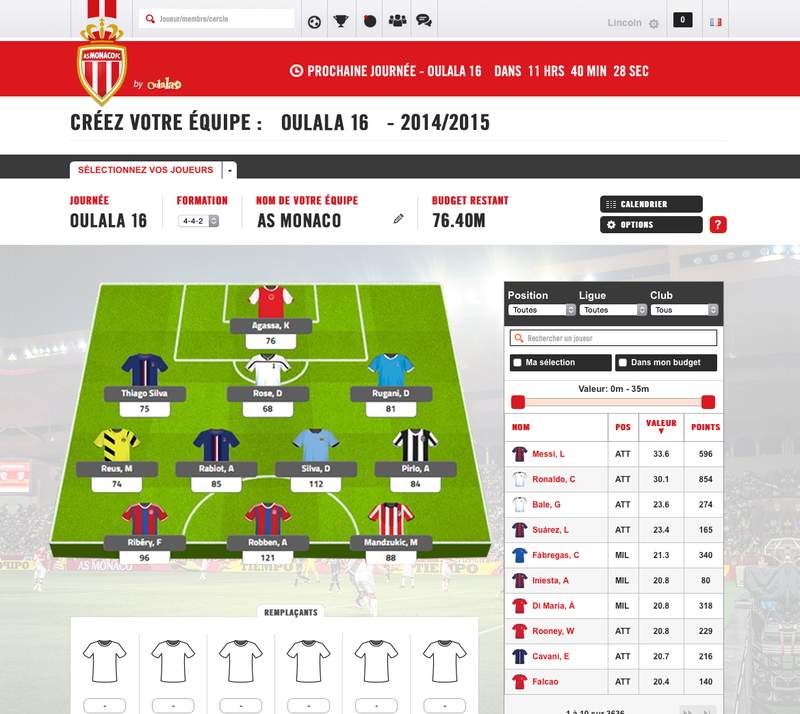 One of the latest European fantasy sports firms called Oulala Games Ltd. is doing exactly that - most recently, they established a partnership with AS Monaco FC. Two months following the launch of the monetized Business to Customer (B2C) version of their game in August, Oulala will be launching a monetized white-label product for Business to Business (B2B) clients, specifically aimed at sports betting operators. How is big data revolutionizing the industry? At the same time, big data has boosted the growth of FS: a true skill game, entirely based on the soccer players' live statistics. Adopting the peer-to-peer format (clients playing against each other), the operator does not care about the matches' outcomes. Indeed, in FS (and on the contrary to sports betting), clients are therefore competing on a level playing field. The games are powered by highly sophisticated algorithms to assess the crucial aspects of a footballer's performance that contribute to an overall result. While most fantasy soccer sites limit themselves to 10 to 20 criteria, the guys at Oulala have developed an innovative platform that includes a total of 70 different criteria dependent on a player's position resulting in a total of 275 ways to gain or lose points. The platform is so fast that for most fans the delay time between action on the pitch being reflected on their smartphone, laptop or tablet is just 20 seconds. The main advantage of following real-time scoring on a second-screen is that it gives a whole new dimension to watching live soccer. 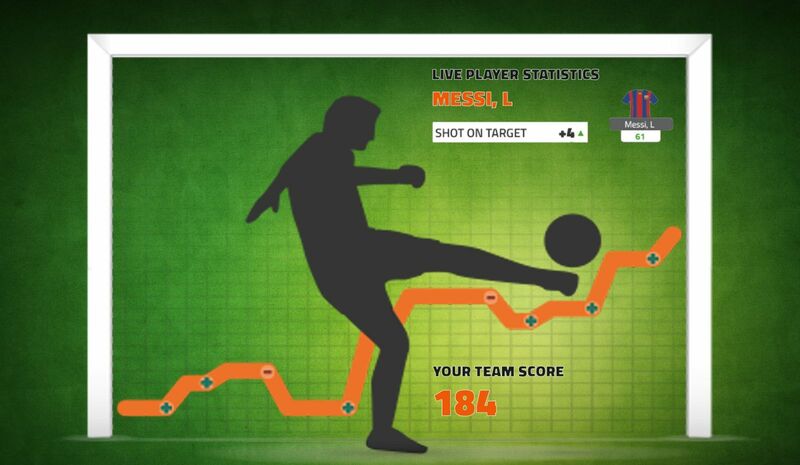 Moreover, the live-coaching feature is another exciting aspect of fantasy soccer. It gives clients the possibility to make live substitutions and formation changes to their team, which creates the closest experience to soccer reality in addition to optimizing their chances of winning. Big data is revolutionizing the industry and this is just the beginning. While it may seem that European Fantasy Sports hasn't really picked up as yet, since Europe is known as a historically late adopter, the future looks promising for soccer lovers who seek richer experiences than what is being offered at the moment by well established betting operators.